Corian Designs face lots of competitors, but still remains to be one of the most well-established surface material brands in the UK. Using the above information, you can see that Corian surfaces has become a well-established brand. Customers have raved a great deal about the use of Corian for their businesses, and architectures continue to use Corian in their design plans. Corian surfaces have proven to be an all-rounder with regards to what it can be used for. 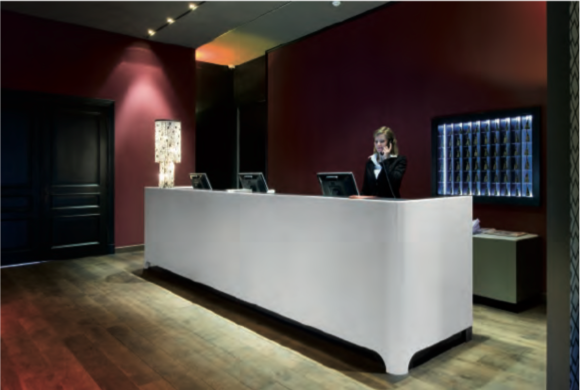 From little projects such as reception desks, to big architectural designs, Corian is flawless and offers a great deal of reliability and sturdiness. What is even better for businesses is that Corian can only be installed by a Corian expert, meaning all installations can be fully trusted. You will also be provided with a 10 year warranty in case of accidental damage.